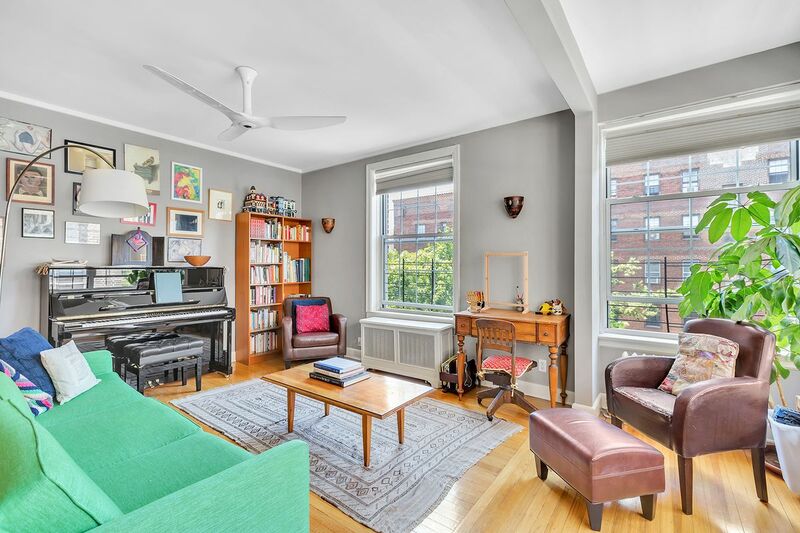 This bright two-bedroom co-op in Jackson Heights spans the entire floor and measures about 1,100 square feet. 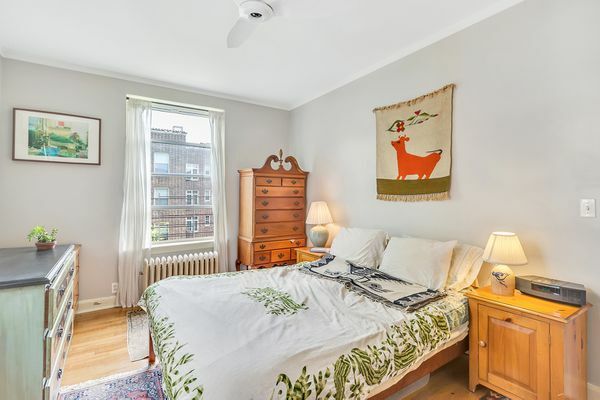 This third floor unit is part of the larger Linden Court complex, which is a 10-building development from the early 20th century that’s located in the Jackson Heights Historic District. 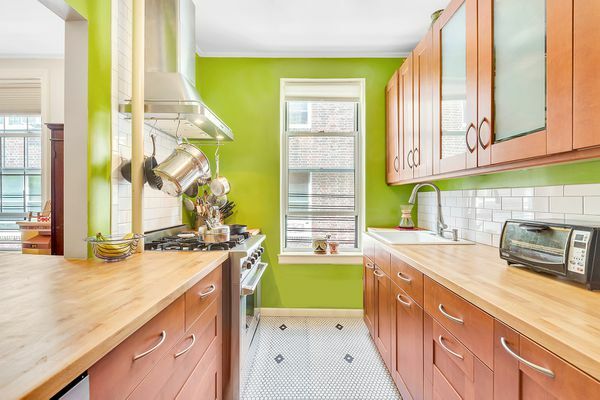 The co-op unit now on the market recently underwent a renovation, and the kitchen was fitted with stainless steel appliances and butcher block counters as a result of it. 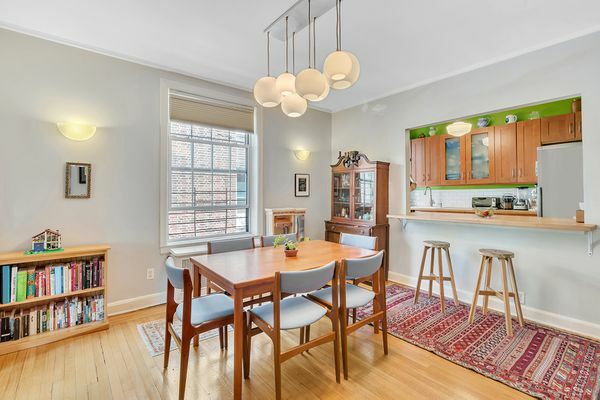 Other features of the apartment include original hardwood floors, a good amount of storage space, and views of the Linden Court complex’s lush private garden. In addition to that landscaped garden, residents here also have access to a laundry room on site, and parking. 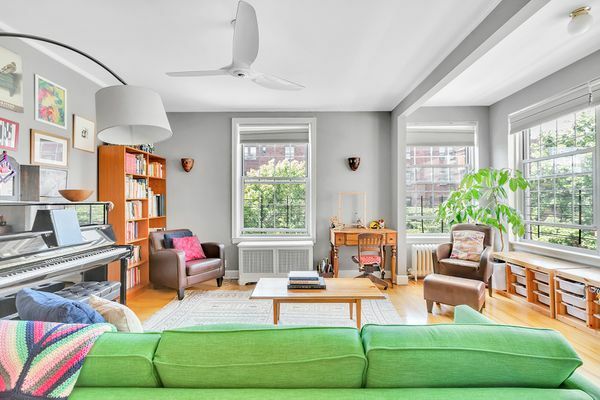 For all of that, you will need to shell out $548,500.